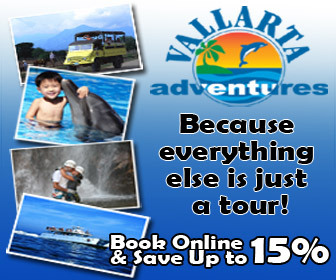 A planned beach resort, Nuevo Vallarta is all about its destination hotels. Facing a long, wide beach that stretches north for miles to the town of Bucerías are several dozen resorts. Nuevo Vallarta is framed by the Ameca Rivera and the Paradise Plaza Marina to the south and Flamingos Golf Course and the new hotel developments surrounding it to the north. 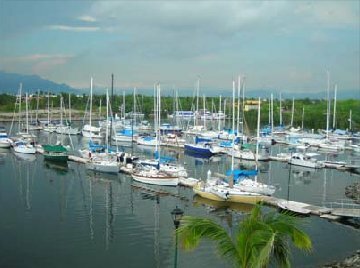 Sharing Banderas Bay with Puerto Vallarta (to the south), Nuevo Vallarta is the southernmost destination of Nayarit state and the newly coined destination "Riviera Nayarit." This stretch of coast line, between San Blas and the Nayarit/Jalisco state line, is receiving state and federal funding to grow its hotels and to improve infrastructure such as highways. Because most of its hotels are all-inclusive, Nuevo Vallarta hasn't too many restaurants. Among the most popular and enduring are Tino's for seafood and La Porteña for steaks and Argentine specialties. Claudio's Meson Bay, of Bucerías, has opened a new subsidiary in Nuevo Vallarta; they sell typical Mexican eats, barbecue, and seafood, too. At the southernmost corner of Nuevo Vallarta, two-story Paradise Plaza mall has shops, a grocery store, several cafes and juice shops, Internet café, banks, and clothing and gift shops, as well as underground parking. There's no movie theater, unfortunately; the closest cinema is at the new Liverpool Mall, across from the cruise ship terminal in Marina Vallarta; it's a 15- to 20-minute drive south toward Puerto Vallarta. Despite being a 30- to 40-minute drive from Puerto Vallarta, Nuevo Vallarta feels less isolated since Bucerías, La Cruz de Huanacaxtle, and other towns to the north are either growing naturally or being developed for tourism. There are two 18-hole golf courses at Nuevo Vallarta, El Tigre and the area's original course, Flamingos, which has been totally revamped. Also here is SeaLife Park a water park whose main attraction is its Dolphin Discovery program, which allows guests to swim with its dolphins. Some folks call these captive dolphin enterprises educational, but the Humane Society International and other animal-endorsement entities oppose them. The beach at Nuevo Vallarta is of course a big draw for visitors, most of whom are couples and families. (This is definitely not a singles' scene.) The sandy beach generally has calm water that's usually good for swimming and occasionally bodysurfing or boogie boarding. Guys on the beach rent water-sports equipment such as JetSkis and sometimes kayaks. There are banana boat rides as well as parasailing; the latter is not recommended since there is little regulation of boat owners that offer this high-flying activity. For information about the Grand Mayan Wyndham Nuevo Vallarta, Gran Velas, Occidental, Riu Vallarta, Marival, Paradise Village, Sea Garden, and other Nuevo Vallarta resorts, see our Travel Guide.